Pre-blog-post-note: This is a little different to normal. I don’t even know what ‘normal’ is for my blog anymore but anyway; I felt like writing about an amazing event that I was fortunate enough to experience. Two Friday nights ago at 7:23pm, I was casually making my way to a babysitting job while reading Time Out’s “What’s On This Weekend” guide on my phone. 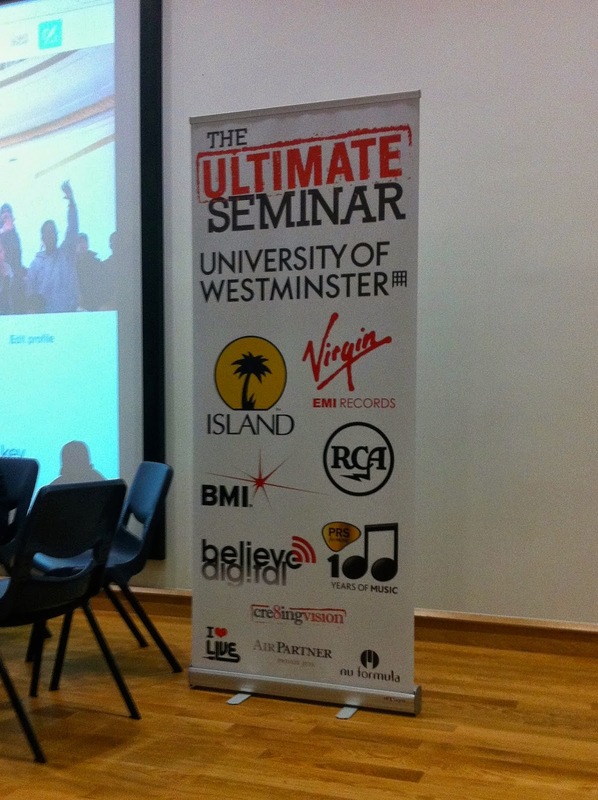 I came across an event scheduled for the next day called ‘The Ultimate Seminar’. Needless to say, I was 100% prepared to cancel Saturday’s plans and rock on up to this amazing-sounding event instead, but the fact that the tickets were sold out stopped me dead in my (mentally planned) tracks. The queue outside (that stretched all the way down the street). Despite this, Saturday morning rolled around and Agata and I took a stuffy, crowded tube ride (surprise, surprise) to be the first in line for entry at 10:30am. We were hoping that somebody wouldn’t show up and we could swoop in and take their seats. I won’t bore you with the details but after being at the front of the queue to the back of the queue, a double shot latte from Kaffeine and waiting around for nearly 2 ½ hours, we finally made it in! Another successful London mission. For some unknown reason, nobody ever likes to sit in the front row at big seminars like this one, so we even scored front row seats! I managed to make quite the entrance by spilling coffee all over me and the seat in front of me while trying to shake somebodies hand, but hey, that’s really just another day-in-the-life of Ellora. 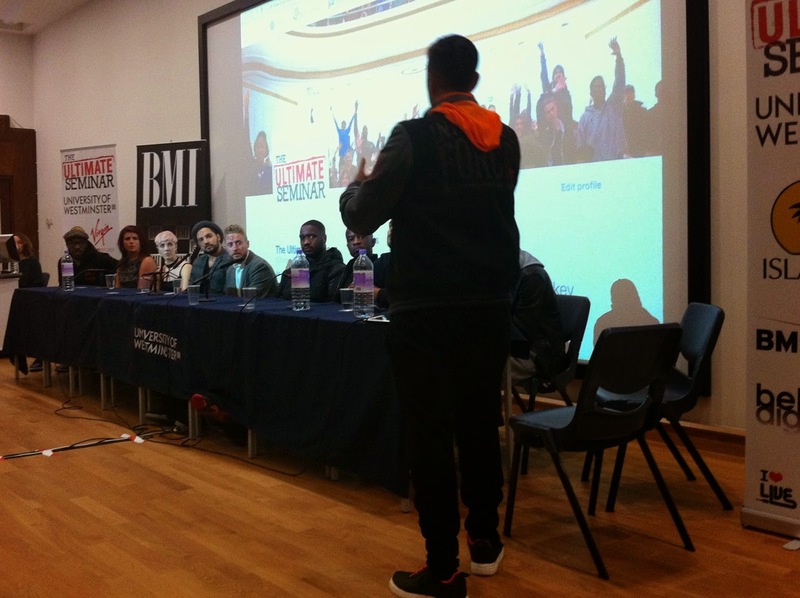 The seminar was made up of multiple panels on subjects relating to different parts of the music industry. 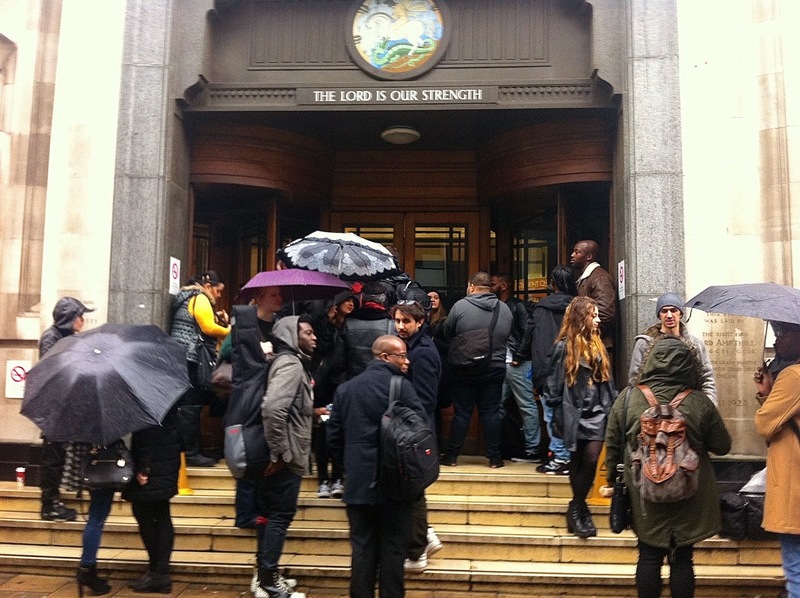 In total there were 38 speakers in attendance, ranging from performers to songwriters to lawyers to producers to agents to accountants to managers to…. Basically all of the important people that make music what it is today. I must say, the organisers didn’t settle for just anybody they could find, they had some pretty big names in the industry speaking! I could go on and on about EVERYONE that spoke, but here’s a top 5 for you. My personal highlights included Jake Gosling - producer/songwriter/manager/publisher who has worked with Ed Sheeran, One Direction, Christina Perri etc., Eliza Doolittle - singer/songwriter known for her vocals on ‘You & Me’ by Disclosure and her own song ‘Pack Up', Dan Parry - audio engineer known for his Grammy award for Adele’s ‘21’ and working with artists such as Ceelo Green, Miles Kane and Lady Gaga, Wilkinson - music producer/DJ known for hit ‘Afterglow’ and lastly Hiten Bharadia - publisher/songwriter who has worked with Britney Spears, Iggy Azalea, Flo Rida, Demi Lovato, Snoop Dogg and more. Phew! I took pages and pages of notes on the day but I’ll filter out the (for lack of a better word) ‘crap’, and leave you with some interesting information and advice we learnt from these incredibly talented people. Passionate people networking during "Power 5". The first panel was called “Knowing Your Business”, obviously focusing on the business side of the industry. They covered the topic of music streaming, which is completely changing music. I was surprised to find out that sales on iTunes have gone down 20% in the last 18 months, while Spotify streams have gone up by 14%. The speakers on this panel discussed how important streaming is becoming and how it is not only “the future”, as everyone says, but it is now. Riki Bleu, an artist/producer/manager/publisher, said, “Online streaming is like the wild wild west”, which shows how it is still evolving constantly and probably not at it’s peak yet! The 'Creative Breakers' panel, hosted by Nihal Arthanayake. On the ‘Creative Breakers’ panel, they discussed the ever-important topic of the pressure that various aspects puts on artists and production teams alike. Carly Wilford, DJ and presenter at Rinse FM, spoke about how sometimes artists can feel too much pressure and release too quickly, which often results in bad work. Her advice to aspiring artists was to hold back and be 100% sure and confident about what you’re putting out there before releasing it. A super cool thing they did a few times throughout the day was something called "Power 5", where you had 5 minutes to meet 3-4 new people and network. 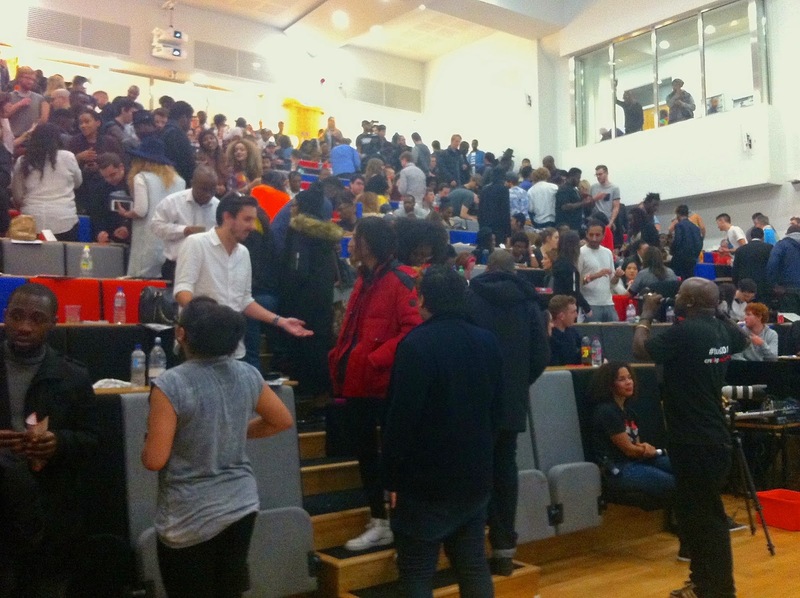 This provided everybody with an amazing opportunity to meet an array of different people - you don't get that often! The final panel we attended (unfortunately we had to leave early) was journalist Hattie Collins interviewing Jake Gosling. Gosling is well known for writing Ed Sheeran’s hit ‘Lego House’ and producing One Direction’s chart-topping song ‘Little Things’, as well as a whole lot more in his impressive career thus far. He talked about how, as a songwriter, you’re “forever trying to write the greatest song you’ve ever written, and that’s continual.” In the audience Q&A part of his panel, Gosling was asked what advice he would give to somebody stuck with writers block. In response, he shared a quirky story about how he bought some chicks and made a chicken coop from scratch to get himself out of that creative lull so many writers experience. A different approach than most I must say, but very interesting nonetheless! There is no way I’d rather spend a rainy Saturday than in a lecture hall full of creative, bubbly people who all shared the same passion. Thank you so much to Cre8ing Vision for organising this incredible seminar, and to the University of Westminster for opening their lecture hall doors to host us. Lastly, you guys should totally check out the video from this years event down below. You can see us standing at the door first in line, woohoo! It’s well worth a watch if you have a spare 4 minutes.